I have a Pennsylvania dutch recipe for Pfeffernusse that dates back to at least 1941. Check your message box and see if it's something you can use. Here is an IMAGE LINK and I have also seen them packed into a tray like tiny pencil thin dinner rolls and then broken apart (looking more like nuts) after baking. "Buttons" are rolled or dunked in powder sugar glaze. I can't ever remember tasting black or white (yuck) pepper in them. I think they come closer to ginger cookies in taste and if enough ginger is used, they are spicy as in hot like pepper spicy. Rye flour. I believe the same dough would be good for making gingerbread houses. Did you run a TFL site search? I did do a TFL search. Found a cake recipe. Google search gave me wide range. In looking at the image file I found a couple of details. Danish style uses black pepper. Your file included the 'buttons' which is what my friend Bertha made. They do have pepper in them and it is quite nice. Flournwater sent me a recipe from an early cook book. His directions instruct to let the cut cookies cure over night, flip them over, add a drop of fruit juice and bake leaving cookies upside down on the baking sheet. I love TFL and the range of info that comes back. Happy Thanksgiving, RonRay! Thanks for the link to Kristen and her great story and photos for pfeffernusse cookies. I have decided to make a couple recipes for comparison. I really don't need much of an excuse to blend the spices and bake up a batch of tastiness. Thanks so much for your help. You have played apart in making one WWII vet very happy. My friend, Jack, can't wait for these to be done. Gotta love all the TFLers! and the passion shared here. Lisa, thanks for the kind words, and a happy Thanksgiving to you and all the TFL'ers. One would have to search a long time to find a more generous group of people and those on this site. Arranging ingredients for the pfeffernusse project I noticed there is no butter listed in the Pennsylvania Dutch recipe you shared with me. Is it true, there is NO Butter in this cookie? Is that why I hear they are so hard? Please advise. The recipe, as published, has no butter included in the ingredients list and butter is not mentioned in the processing instructions. Inasmuch as I suspect this is intended to be a crisp "dunking" variety of cookie (dunking cookies, toast, etc. in their coffee was a favorite way to enjoy them at my grand parent's breakfast table) I theorize that the creaminess that butter brings to a finished cookie was not desirable for this one. It's not uncommon for an ingredient to be missed when publishing cookbooks but because mine is a third edition and I'd expect an error in ingredients would have been corrected by that many publication cycles. Also, with no butter mentioned in the processing instructions, the absence of butter would (IMO) be intentional. One recipe makes "nuts" containing 220g flour, 220g sugar, 30 g candy citron, 1 knife point each pepper & cloves, with 2 small eggs. Roll dough into 1 cm thick coils and cut into small pieces and set on end together in a small greased pan. Bake until done. Light color. Keep a long, long time and take time to soften. The second recipe makes also "nuts" containing 250g honey, knife point each cinnamon, cloves, cardamon, pepper, lemon and orange peel, 350g brown sugar, 2 eggs, 600g rye flour, 8g ammonium bicarbonate. Mix dough with half the flour amount and let stand in a warm place 12 hours to ferment. Work in the rest of the flour and 1 tablespoon Rum. Form like the first recipe baking until just done. I have not made either recipe but they are authentic Austrian. Funny, no ginger or glazing -- must be an old recipe. German Pfeffernüße looks more like buttons and remind me of lebkuchen. I see plenty of room for tweaking depending on your individual tastes. I have been given these type of "nuts" in a block (looks similar to a honeycomb) and had to break them apart after letting them sit in a tin with peeled apple. I've never had to bake them myself. I would guess with a moderate oven in the middle. I have a similar recipe from a woman I worked with back in the 80's in Wichita Ks. that sounds like your buttons. This is the first mention of amonium bicarbonate in any of hte recipes I have encountered. Oddly enough, I have some in the cubboard! As these are to be crispy as in hard . . . it is good to consider. No butter in these either? This research project willhave my house smelling yummy for days. I now have three recipes that are must tries. I have added your suggestions to my list of details to compare. Thanks so much! The best way to describe the stacking of the dough would be like lady finger grapes on end filling up the tray. As they bake, they extend upward making long "nuts." the tops and bottoms having small surface area with the sides twice as long. Those in the middle easily achieve 6 sides if the rows are slightly staggered to fill in spaces. I have seen trays in the image file showing ropes of dough that have been cut into short pieces but the pieces are scattered out on the tray so the heat can bake all sides. I think the final shaping step got cut short. They need to be packed together into a block. If you need a little rye flour on the outside after rolling the shapes (which is understandable with rye dough) this will keep them from sticking to one another. Me? I go with parchment paper on the bottom. I can also see the use of large cookie cutters, hearts, trees, to stack the dough "grapes" into. That way for a gift tray about a dozen can be stuck together in a shape to break apart later. Just an idea. for forming sets of buttons! thanks. Made recipe number 1 today. Smelled right. Dough was dark from the molasses. Some photos show a lighter dough. Rolled in powder sugar (twice) made them look right for what Jack has asked for. Packed in a tin in gentle layers and sealed for a few days before the taste test. I keep thinking Hasenpfeffer when I read Pfeffernusse. If Hasenpfeffer is the entrée and Pfeffernusse the dessert, what are the other parts of this meal? or saltz. You'll find it next to the pfeffer. maybe you find something there. If you need help with translation, please holler. I managed to find a translator that translated every thing but 125 g gross Einmachzucker (icing sugar?) but I don't think its icing sugar which was my first guess after translating the production notes. and gross would be large so have no idea what it would be. Unless it was large crystal sugar like for dusting on the top although there is no mention of that. The translation of the method was a bit weird but I understood it, and as far as I can see it says to add the sugar to the eggs, and says nothing about sugaring the cookies after baking. 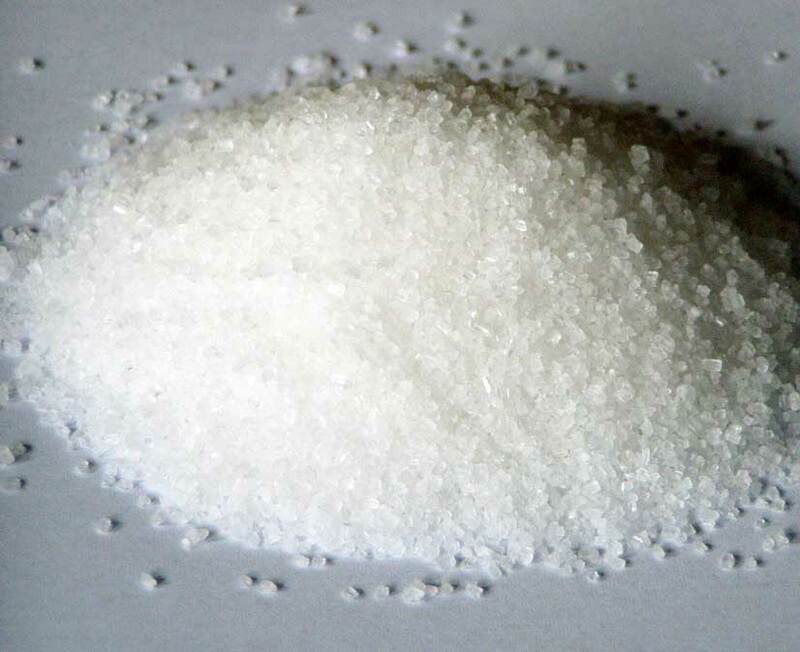 It's a large-grained granulated sugar used for making fruit preserves. My guess is the same as your guess; probably for decoration in this recipe. It's called sanding sugar in the USA. Einmachzucker or Einmachraffinade is a type of sugar with particularly large even sugar crystals, which are particularly good for making preserves from fruit to fruit jams and jellies is. The large crystals dissolve more slowly than normal table sugar. This creates less foam during cooking of the fruit and the slower melting of the sugar crystals to reduce the risk that the bottom of the pot from burning sugar or caramel lumps. Unlike Gelierzucker Einmachzucker contains no additives. Combine flour and baking powder, spices and citron. 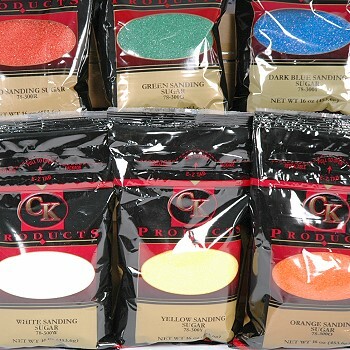 With this mixture, form a ring on your work area. Beat the sugar and eggs very foamy, put into the middle of the ring and start working in the flour etc. Put the dough into the fridge. Once cool, roll to +- 1/2 inch thickness and with a roughly 1 inch diameter glass do cut-outs and put these on a greased cookie sheet. Let the cookies dry overnight, next morning turn them over and moisten with a bit of rum. Bake at 350 F convection, or 390 F regular oven. The Pfeffernuesse burst open while baking, please bake them to a nice golden yellow. saying to fry to a nice golden brown, but the rest of it was ok, I muddled through and got almost the exact directions as you gave for the translation. I will have to try these this year, and expect they will disappear like most of my baking does. I do love the combination of the spices given, so they will be tasty! Thankyou so much for the help with the sugar, and will have to see if I can find any, all the sugar around here is mostly small amounts in jars and coloured, I don't think that if its put into the recipe one would want that, and it doesn't discuss what to do with the sugar other than put it in the recipe, so do wonder. Are they very sweet or more a light sweet with spicy when made. If they were not sweet I would say the regular sugar would be all that was needed. The recipe on this the site AnnainMD listed, which should be authentic (based on its language source) has no butter in the ingredients listed. Nor does the one listed by thomaschacon. and asked her, will let you know. Thanks for taking a look at the photo. I baked 'em up and have them in a tin to 'cure'. However, they are not hard! They have a great spicy flavor, and a soft texture. Must be the butter. Flournwater sent a recipe from 1939 that calls for no butter. I think that one may be the next effort. I will let Jack have a go at these first. Love your water color collection on your art site. I like the "surf in the iris", beautiful! are too Funny! Actually, when my firend Jack first called about cookies, he did say "hasenpfeffer". Good thing I knew that was rabbit stew! When I was searching for a picture of Hassenpeffer, this came up. Here's a recipe from a book published in 1989. Source. Parnell, Helga, Robert L. Wolfe, and Diane Wolfe. Cooking the German Way. Minneapolis: Lerner Publications, 1988. 63+. Print. This one has no butter and says you can use almonds, hazenluts, or walnuts. Thanks for the recipe. Several directions state to seal them to cure or mellow. But none so far have stated a desireable length of time. Do you have any idea how long they should stay sealed? And about the cut of apple to be added in the seal..... Seems this would add moisture and these are supposed to be really hard little cookies. Thanks a heap for your help. With those ingredients, I'd say a month should do it, especially with the apple. I don't know for sure, though. Perhaps the apple slice is to prevent them from getting too dry and turning into little bricks, which a long cure might do? The "slice of apple" is one of those traditional things that, when I see it, I just do as I'm told and ask no questions, else my result is usually a disaster. you sent has the entire cookbook loaded online! I scrolled through and am delighted to have it as a resource for many recipes. I have been making brohcen since 1980 after getting the recipe while visiting in Germany. Then there is Bee Sting Cake! And the wonderfully simple cabbage soup. I will do the directions with the apple slice. I love your line of advice: " . . . I just do as I'm told and ask no questions, else my result is usually a disaster." Looks like I have some bakin' to do. Thanks so much. I just do as I'm told and ask no questions, else my result is usually a disaster. You're welcome. Let us know how they turn out. Martha Stewart has recipe in her book Cookies. Except for minor changes to the spice quantities, the addition of 1/2 teaspoon of pure vanilla extract and 1/2 teaspoon allspice (which seems like an awful lot to me), it's virtually identical to the first one I posted. The last sentence reads, "Cookies can be stored in an airtight container at room temperature for up to 1 week", but I think she's just being conservative. Almost every recipe in the book says the same or less, 3 days to a week in an airtight container. As for nuts, she says, "Nuss means nut in German and refers more to the shape than the ingredients". I guess that means "no nuts" in Peppernut cookies. If translation help needed, please holler. 1Batter: Beat eggs in a mixing bowl with a mixer (stirring rods) at the highest level of 1 minute until smooth.Sprinkle sugar mixed with vanilla sugar, cinnamon, cocoa, pepper and almonds by stirring in 1 minute and hit the ground for another 2 minutes. Mix flour with Backin and half of them stir briefly to the lowest level, knead in the rest. Dough in cling film wrapped provide 2 hours cold. Meanwhile, the baking sheet with parchment paper and preheat the oven occupy. Hot air: about 180 ° C. 350 F 2Dough on lightly floured surface and knead briefly and form into 2 rolls, each 30 cm =-+ 12" in length. Roll into thin slices, into small balls (Ø 1" or 2 cm) forms, on the baking sheet and bake. Baking time: about 10 min 3Gingerbread with the baking paper from the tray and pull cool on a wire rack. 4Cast: Sift powdered sugar, mix with about 2 tablespoons water or rum into a gooey piece. Pastry cover it, let it dry and decorate as desired even with dark, melted chocolate. Directly after baking gingerbread nuts are slightly dry.When stored in sealed cans, they are pleasantly soft. Oh, You made me laugh! Great photo; both funny and sic! Love the bunny~ so pretty. The recipe I made on Friday resulted in a 'soft' cookie due to the butter. The difference I note in recipe w/o butter is that it calls for 5 eggs. Will be stirring that one up later today, I hope. Got the camera battery charged in hopes of posting some photos toshare with all who have assisted me in my hunt. for the next couple of tries. First batch (with butter) will be delivered today for Jack to critique. He willbe delighted to know more will be on the way! 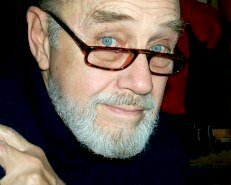 He is not a computer octogenarian~ will have to have him over to see all hte effort by so many around the globe who have had a hand in his request. Thanks! My humble blog of kitchen antics doesn't get the attention it needs. But I do throw in a post from time to time. Would love for it to be more. Still learning! 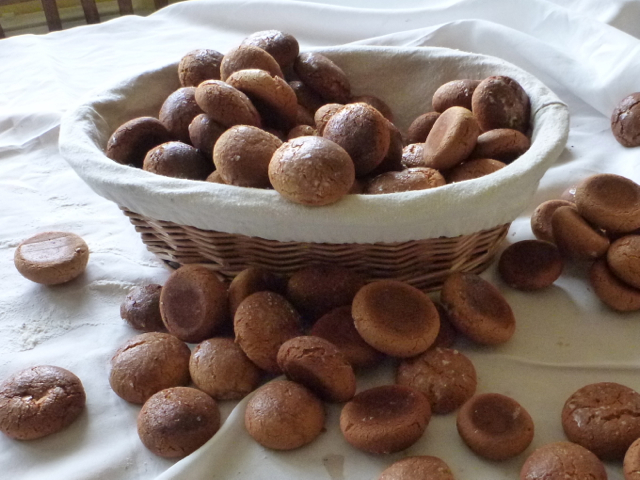 I saw this thread come by, saw the keyword "pfeffernusse" (did not read the entire thread yet) but do want to make you aware of my latest blogpost here on TFL, covering..... pepernoten, made with a very traditional recipe; check it out! I thought the curing/mellowing was due to bakers ammonia used in the recipe? I remember one year when the kids averaged about 10 yrs old, we (my Sils, Bils & Mil) had a "lebkuchen bake fest" trying all kinds of recipes to find "the best." It was followed by many consecutive years of "lebkuchen bake burn out." No one wanting to eat or bake lebkuchen. Thankfully, we have not yet recovered to prebakefest levels of desire. Thanks! I should not be surprised there are so many versions! Sift together flour, spices, and powder. Beat eggs until thick--adding sugar a little at a time. Then add lemon rind. Add the flour mixture alternating with coffee (ending with coffee). Then add citron and nuts. Let dough chill for several hours. Shape dough into 3/4" size pieces. REALLY sticky (flour or grease hands). Place on cookie sheets and let sit out overnight to dry. Before baking pat their bottoms with a bit of high alchohol content brandy/rum/vodka. Bake at 300° for 20 minutes. Remove cookies from rack and dip in egg white that has the anise extract added, then roll in sugar. Repeat rolling in sugar. Then they sit a week or two or more in an airtight container. So, we made these at the beginning of December. In my collection, I would like to crdit the source of each recipe. Shall I use flmyhntr's Danish Grandmother or may I ask her name? 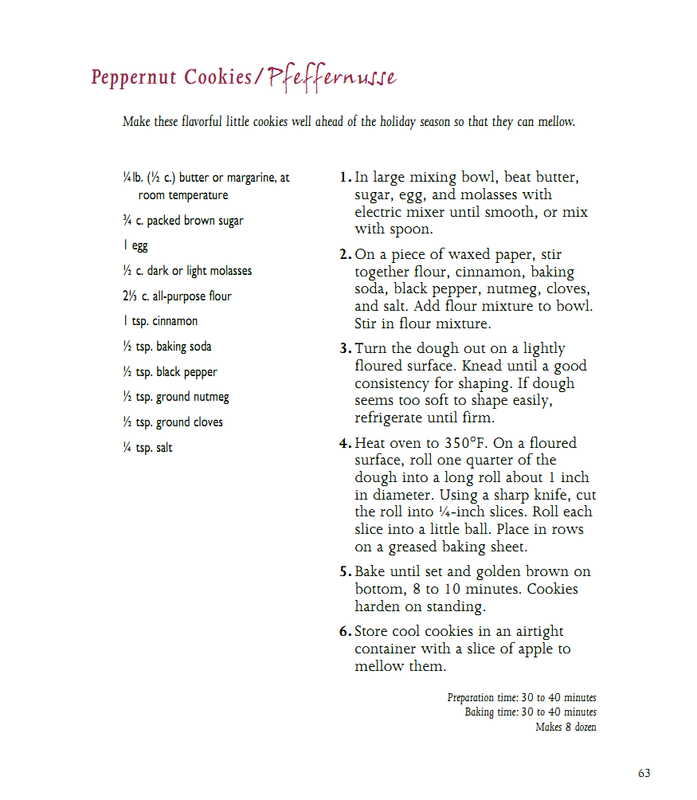 I want to consolidate the collection of pfeffernuse recipes, with some photos . This project has recieved a great deal of input and interest. I want to honor efforts by all participants in a creative/online/resource holiday way. Her name was Sif Margrete. I agree, this was a fun thread to read. I also realized why we stopped making them--it makes A LOT and it is a lot of ingredients. (Thank god for a heavy duty mixer--mom and my grandma used to make these by hand.) So I've been doing the math to try making a smaller batch next year. I miss them. I have been wondering this this holiday season. Hanseta may be able to be more specific on differencess. Ingredients are quite similar, procedure as well. I defer to hanseta on specifics for your question. They are very similar. One of the big differences is the final shape. Pfernusse are round domed cookies and lebkuchen are rolled out and flat. And at least n the 2 recipes we make, the spices are different too. We roll the pfernusse in powdered sugar and our lebkuchen are glazed with either a rum/sugar glaze or chocolate. Is there a good book available..
that has good european baking recipes such as these and broiche and.... (whatever else we have talked about here)? My husbands grandmother was a first generation American. Her mother and father came here and settled in Texas. She made Pfeffernuse (peppernuts) and they were a family favorite. The recipe was her grandmothers so it is the true German recipe. she told me once that any Pfeffernuse recipe that has oil or butter in it is not really "German". She was very emphatic and really felt this addition was a travesty and ruined the recipe. Lol! German women are serious about their cooking. She also commented that the cookies with butter were not Pfeffernuse but were actually pepparkakor or gingersnaps. She did admit that spices were a matter of taste...but the basic hard cookie recipe should not be tampered with. The cookies she made could be put in a sealed container and literally last forever. When my husband was in the service and stationed overseas, the Pfeffernuse were mailed to him on a regular basis by his grandmother and made it there tasting fresh and intact. When looking at pepparkakor recipes, most of them are indeed like some of the recipes posted here...I would think that anything with molasses is most definitely Swedish instead of German, and the no oil or butter is a big determinant. Grandma Bueche did tell me that the pecans were not always available when she was younger so were often left out. My family likes them with lots of pecans...and sometimes I will even top with a pecan half before baking. I have really enjoyed this thread. Thanks everyone for posting. Interesting to see all the different recipes. um... so much for authentic... How about hazel nuts? The pecans were an addition Grandma Bueche's mother made on her own when they immigrated to Texas. We have lots of pecans here. The original recipe from her grandmother did not have any nuts in it at all....and I guess if you want to stay truly 100% authentic...then leave the nuts out. Nuts were not something that poor people in Germany in the 1800's had access to. When she was a girl her mother would add them sometimes since there were pecan trees on their farm in Karnes County, Texas, however, she said they were not always available and her mother was pretty frugal with the pecans they harvested, since most of them had to be sold, so they did not always have pecans in the cookies she ate as a child. I think the pecans really add to the cookie so I left the pecans in. The recipe is indeed authentic....actually I have my husband's great great grandmother's cookbook with the original recipe written in German. :) I love pecans too! Mine (see above--the one from my Danish grandmother) doesn't have molasses--but it does have brown sugar. They are very firm. you break open (like a peanut) and little black seeds fall out. Crush these (and the anise seeds) by pounding gently with the rolling pin. They are a characterstic flavor of Pfeffernusse. Into beater bowl put ingredients in order given, starting beaters on "low"
Bake at 350 degrees F about 9 minutes. Do not overbake. Source: Mary Moore cooking column Regina SK Leader-Post newspaper, Nov 22, 1972. I think you will find the recipe you want at the link below.